It was 45 degrees here this morning, so that’s hot cocoa and butternut squash weather in my book. 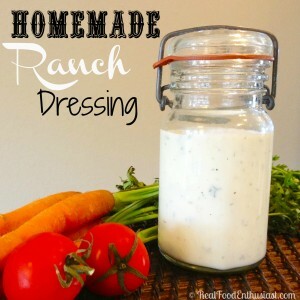 While you guys submitted lots of fun fall recipes last week, I actually chose to feature this Homemade Ranch Dressing because I can’t wait to try it! Seriously, where was this recipe when I was pregnant and craving ranch, but trying to avoid the packet stuff? I love swapping out greek yogurt in place of sour cream for a protein (and budget) boost!